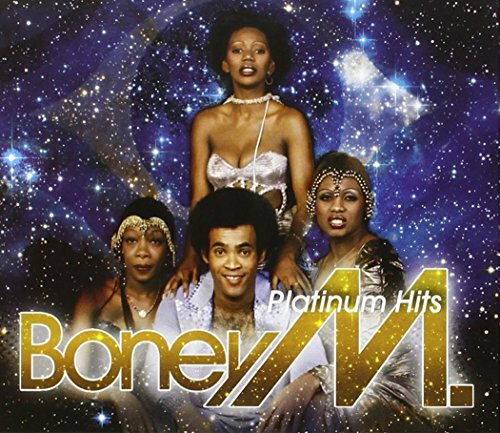 The original 80s Boney M Megamix was released in 1988, reaching #52 in the UK. However, it featured remixed versions of the German band's original 70s hits and really didn't sound that brilliant. The video above features a much better megamix which uses a dance beat, but doesn't destroy the original songs in the same way that the official megamix does. It also features nice footage of Boney M.
The first track, Rivers Of Babylon, was released in 1978 and reached #1 across Europe and in the UK. It was released as a double-A side with Brown Girl In The Ring and featured on the bands third studio album Nightflight To Venus. 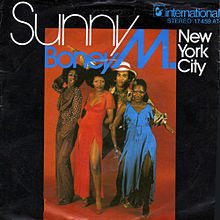 Next up is Sunny which was released in 1976 from the debut album Take The Heat, reaching No.3 in the UK. Also released in 1976, Daddy Cool was Boney M's first ever hit and reached #6. Finally, Rasputin was released in 1978 as the follow-up to Rivers Of Babylon and reached #2. It also featured on the third album Nightflight To Venus.